When you buy a PACCAR MX powered Kenworth Certified Pre-Owned truck you are getting the most comprehensive factory-backed warranty you can get in the used truck market. 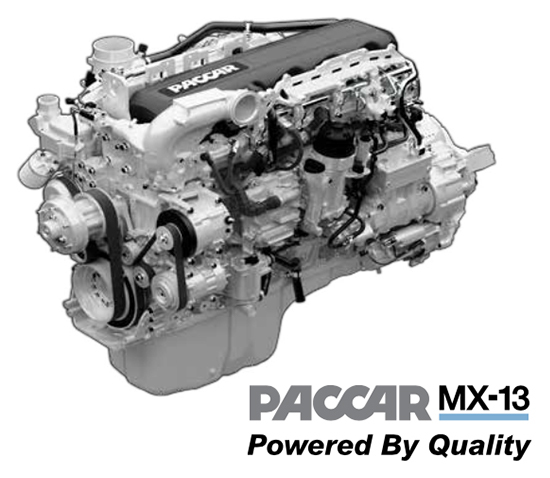 PACCAR’s 50 years of diesel engine development and manufacturing expertise have established the company as one of the leading diesel engine manufacturers in the world. PACCAR engines have accumulated over 50 million miles of field testing - in the most severe of conditions in North America - resulting in an engine durability B10 design life of 1,000,000 miles. This level of quality and durability increases the time before a major overhaul is needed - resulting in exceptionally low life cycle costs. PACCAR Engines are built in Columbus, Mississippi at a state-of-the-art engine manufacturing, machining, and assembly facility. 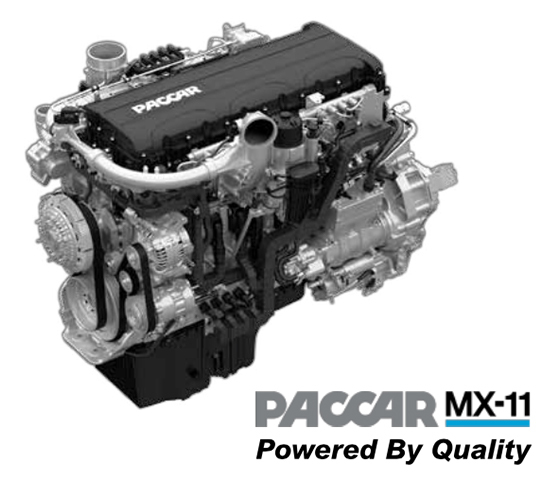 In the 6 years since the PACCAR MX Engine was introduced it has grown in popularity and customer acceptance resulting in over 100,000 engines built and delivered throughout North America. In 2016, the PACCAR MX Engines accounted for over 45% of class 8 Kenworth truck orders. Cummins engines covered by Premium 2000+ warranty. No 90 day vehicle coverage. Ask participating dealer for details.